Preliminary planning of the Botanic Gardens began in 1961 with the first trees planted the following year. 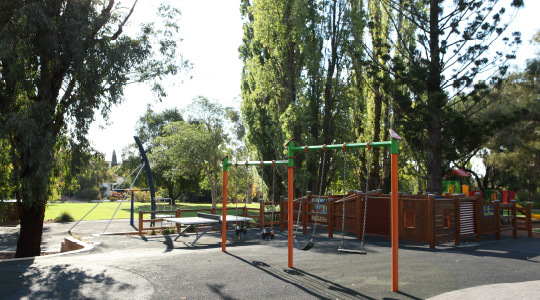 The work was supervised by Council's Superintendent of Parks, Tom Wood, after whom the main drive is named. The gardens were officially opened in August 1968 by the Director of Botanic Gardens, Adelaide, Mr T.R.R. Lothian. In 1988, Australia's bicentennial celebrations acted as a catalyst for many new developments and completion of projects already underway. These included the model railway, outdoor entertainment area (music bowl), the tree chapel, fitness trail and a pedestrian bridge. The Camellia, Cactus and Shakespearian gardens were also developed during this time. The extensive rose garden and Australian native plant section located within the Botanic Gardens formed part of the original design. An addition to the Gardens in 1995 was the Waterwise garden, which includes models demonstrating how to minimise water use. In 2018 the Wagga Wagga Botanic Gardens celebrates 50 years since its official opening. Residents and visitors are invited to stop and smell the roses and join in the celebrations throughout the year. Read more about the 50th celebrations here. This pleasantly secluded area is entered via a lattice arch. The main area of this section features scattered trees in lawn areas, with native plantings around the perimeters. Many of the shrubs featured in these borders have been left unpruned, and have grown naturally. This gives an insight into ultimate growth forms if judicious pruning is not practiced. The Wagga Wagga Society of Model Engineers has created a miniature world of rail, which delights its many thousands of visitors. A railway station and working controls feature along the extensive track weaving through the gardens and across to the museum. This Chapel was funded by the Combined Churches of Wagga Wagga, as part of a Bicentennial Project. It provides a venue for open air services and weddings in a setting reminiscent of early religion, being as it was simplistic and rustic. All the trees and shrubs in this area have relevance to the Bible. This garden was established as a Bicentennial project by the Quota Club of Wagga Wagga, the Hume Region Branch of the Camellia Society, the Wagga Wagga City Council and various other sponsors. The establishment of this garden was taken as an opportunity to cement a sister city relationship with Kunming, China. A team of craftsmen from the City of Kunming, using tools and materials that have hardly changed in 1000 years, constructed the Entrance Gate, Pavilion and marble Chinese lantern found here. This small garden was funded by the Shakespearian Society of Wagga Wagga. The garden is designed on the stylish line characteristic of the Elizabethan period. The small formal beds are planted and trimmed to form what is known as a Knot Garden, which is a style typical of the time, and is enclosed as most Elizabethan gardens were. This area features drought resistant plants from Africa and America, which is another Bicentennial Project with the assistance from the Cactus and Succulent Society of Wagga Wagga. All plants within the garden originate from areas with low rainfall and have adopted succulence as a method of withstanding drought. The Garden Court Restaurant seats 200 (or 350 with a marquee) and caters for formal private functions. The Kiosk provides a range of refreshments including drinks, light snacks, and also sells special packaged food to feed the zoo animals. Walking through the free-flight aviary is a highlight of visiting the zoo. More than 90 species of animals and birds, both native and exotic, live here including the stunning peacocks that roam freely within the zoo. The Children's Farmland, with chooks, ducks and rabbits, is always popular. The gully is accessed by red gum steps and displays assorted ferns and rainforest trees. The whole area is kept moist and humid by an automatic spray system that operates throughout the day to create the conditions required to grow rainforest plants in a very hot and dry climate like Wagga Wagga. 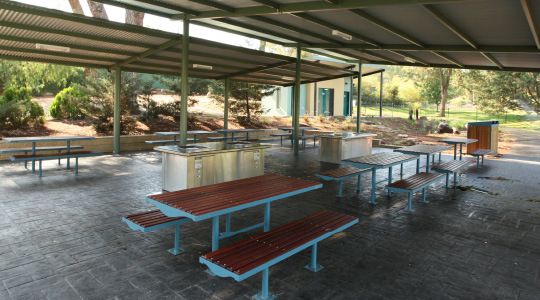 These gardens overlook a pond and have been developed with the assistance of the Wagga Wagga Sunrise Rotary Club. The Gazebo is surrounded by a spectacular bamboo garden and is very popular for weddings and formals. The museum is situated next to the Botanic Gardens on Lord Baden Powell Drive. This site presents the stories of the people, places and events that have shaped Wagga Wagga's unique character. A special feature of this site is the Wagga Wagga Sporting Hall of Fame. Suitable for all ages, children can enjoy the CableRide, lose each other in the Labyrinth and climb until their hearts content on the massive WildNet structure. 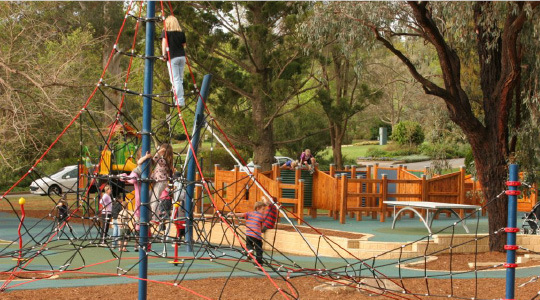 Suitable for young children, this area is fenced, safe and shaded and net to the Kiosk, toilets and Wagga Zoo. This garden displays a range old Proteas suitable for growing in Wagga Wagga. This fantastic outdoor concert area has a covered stage and is suitable for large and small concerts.